Get involved by taking part in Bake for Change! 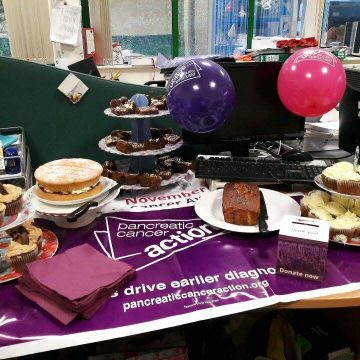 Bake a Change for Pancreatic Cancer Action and make a difference! Our Bake a Change pack contains everything you would need for the perfect bake off. So why not get friends and family together to support PCA and raise some much needed funds? What’s in the Bake a Change pack? Everything below in pink can be downloaded! Why not take a look at our Pinterest board for ideas to fill you bake sale with with lots of yummy treats here. Remember to take lots of photos of your bake sale, share them on social media and send them to us!